The hair tie holder and bracelet in one! 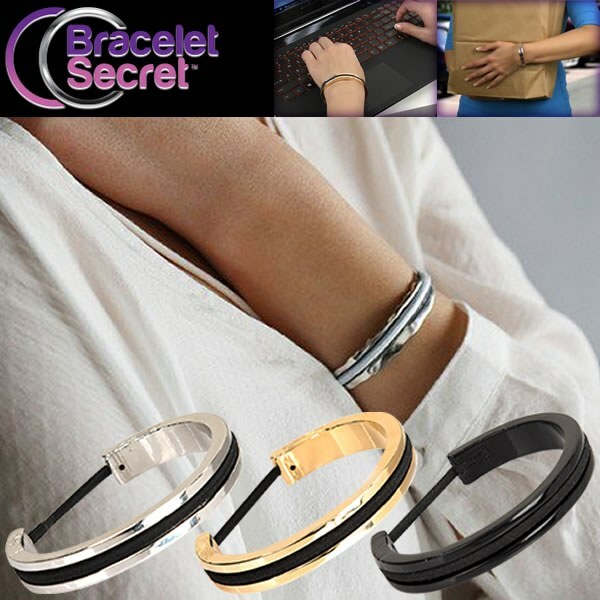 Bracelet Secret is the clever, convenient hair tie holder that&apos;s also a beautiful bracelet. Just slip your hair tie over Bracelet Secret and into the groove. No one knows it&apos;s there because your hair tie looks like part of the bracelet. It&apos;s your secret! Plus, you can change your entire look just by changing the color of the hair tie!